She wore her pajamas all day yesterday. He’s going to buy a new pair of pyjamas. I change into my pjs before going to bed. I ate breakfast in pyjamas. 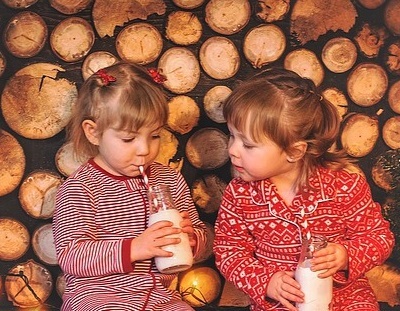 These girls are drinking milk in cute pjs. I was putting on my pajamas when the phone rang. I was wearing my pyjamas when the doorbell rang. She puts on too much makeup. She isn’t wearing any makeup. She always wears makeup to work.